Seniors in the Rockland High School Band were recognized at the beginning of the Thanksgiving football game for what would be their final field show after four years of outstanding performances. Congratulations! RHS seniors Leshon Crawford and John Kamande participated in their second straight ‘Turkey Toss” hosted by Kiss 108 FM in the parking lot of the Meadow Glen Mall in Medford. The storyline was the same as last year: gloomy. The weather, the location, and performance all complied with this. As Kamande was throwing, the turkey slipped form his hands, creating a “knuckle ball” effect and making for a near impossible catch for Crawford. No one can blame Kamande for the miscue, however, due to the slight rainfall, the 7 AM start, and the fact that the turkey was upwards of 30 pounds. Whether in jubilation or in disappointment, the boys represented Rockland High in a highly publicized event, one that was broadcast live on the radio, and represented the school very well as they always do. 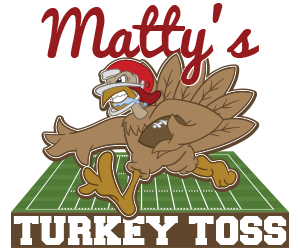 The Turkey Toss consists of two athletes (usually football players) from 8 schools, selected by the station that are considered honorable in the high school football ranks, making it even more special that Rockland has been invited the past two years. Like on the gridiron, the boys from Everett High School dominate this event, winning the event for the fourth straight year. Video of Leshon Crawford’s drop was recorded by Kristen Walsh who accompanied Crawford and Kamande to the Meadow Glen Mall. 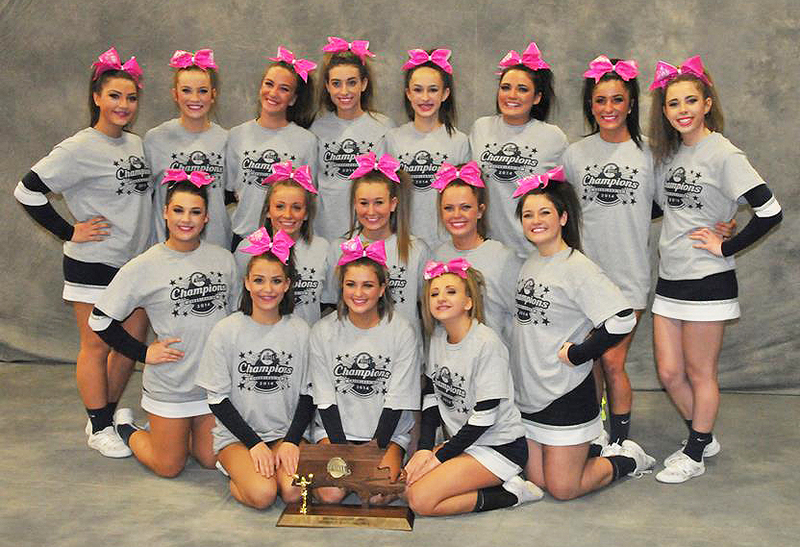 The Rockland High School cheerleaders brought home the Division 4 State Championship Cheering trophy on Sunday, Nov. 23. The girls competed at Lowell High School and won by 7/10ths of a point over second place Ipswich High School. Rockland’s routine was not perfect but the degree of difficulty they challenged themselves with won them the championship. Coaches are Jeanine Reardon, Kim Reardon, Kim Daly and Steph Schneider. The seniors made it a two year Powder Puff sweep with a 20-14 win Friday night. Led by quarterback Brianna Starkey, the Class of 2015 beat the juniors in a close game thanks to two touchdowns and a 2 point conversion by Natalie Ellard and one touchdown by Lauren Farrell. The juniors played well behind QB Kyra Rose who also had one touchdown along with Kylie McKenna. They had the ball in the red zone as time expired but could not get across the goal line. Maddie Daly and Kelsey Girard cheered the seniors on! 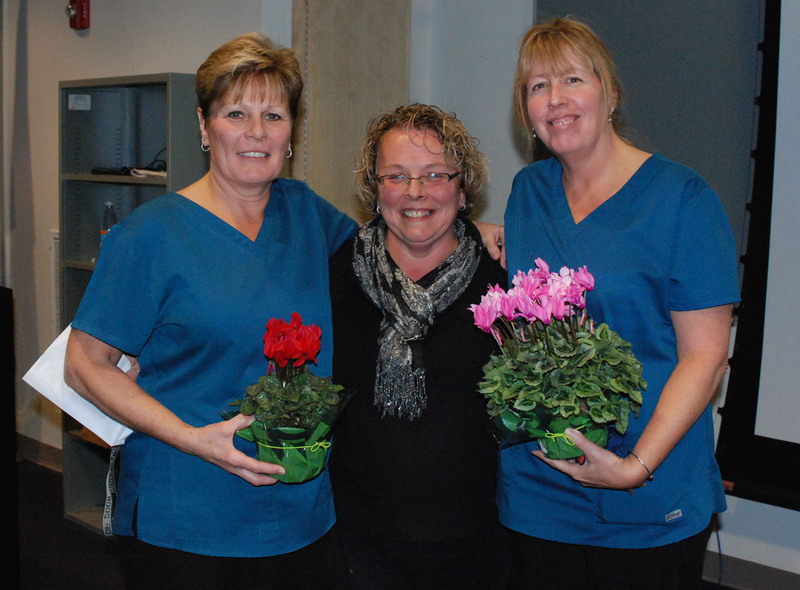 Rockland’s food service director, Adele Leonard, was presented with two major awards from Chartwell’s Food Service at a celebration held in the lecture hall on Nov. 10. Leonard is in charge of the food service for Rockland’s three elementary schools, Memorial Park, Esten, and Jefferson, along with the Rogers Middle School, and our high school. The first award is the New England Salaried Associate of the Year Award. The second award is the National Salaried Associates Award. The video was produced by Journalism students in the WRPS studio. Camera Operators – Tim Sullivan, Mekenzie Levesque and Jurnee Dunn. RHS Principal Dr. Cron is asking all to complete this Communication Preferences survey. It is a quick and simple survey and will give valuable feedback concerning communication between parents and teachers, as well as parents and guidance department and administration.